Always love creating posters for bands since you get a lot of artistic freedom. 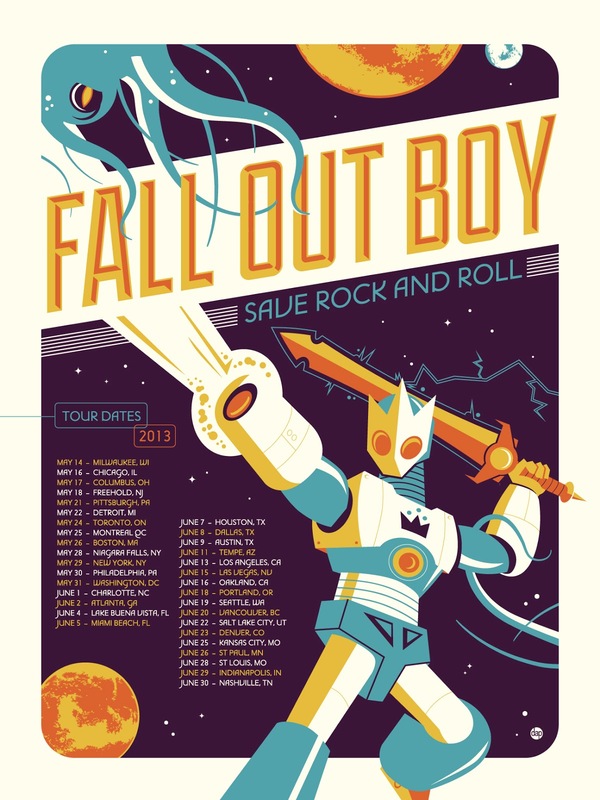 Did this one for the band Fall Out Boy's tour which starts today. Prints go on sale tomorrow May 15th. 12 noon EST HERE!